Fans have various opinions and theories on why it would or would not make sense. 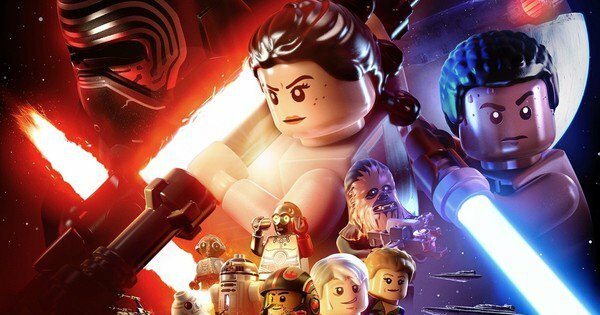 Lucas Siegel over at ComicBook.com sat down to talk with Doug Heder, producer at LEGO Dimensions about the possibility… and it was a bit different than your usual PR response. Of course, that brought us to Marvel and Star Wars, two brands that belong to Disney, and were centerpieces of Disney Infinity, but have also worked with WB Games and TT Games on LEGO games on consoles, mobile, and computer. In 2016 alone, new Marvel and Star Wars games have come out in the LEGO line. “Will they show up somewhere else?” Heder said with a smile, anticipating my question. While I noted that contracts must be difficult, and getting properties like Marvel and DC working together – especially on LEGO Dimensions’ do-anything platform, wouldn’t be an easy task, Heder gave fans of those properties some hope. That’s more hopeful messaging than some would expect, as all those disparate brands have historically been tough to make work side-by-side, but if there’s a company that has proven it can do so, it’s LEGO. Whether you’re looking at the cameo by Star Wars characters in The LEGO Movie, or the very nature of Dimensions, which includes properties from WB, Paramount, Columbia Pictures, Universal Pictures, FOX, BBC, and more, they’ve proven that a dedication and respect for the brand can go a long way to making the impossible happen. Obviously it’s still PR speak, but it feels like something is there, does it not? The way Lucas depicts the scene gives me a little bit of excitement. My theory? Star Wars will come in at some point. It only makes sense. Disney? If they wanted to add Pirates of the Caribbean or other franchises, absolutely! Marvel is harder with the DC negotiations, though as Lucas says, if there is a company that could do it… it’s LEGO.